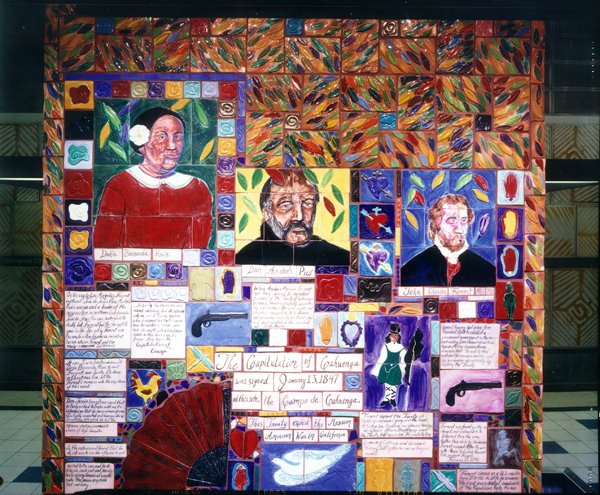 Adjacent to the historic site of the Campo de Cahuenga, where in 1847 Mexico relinquished control of California to the United States, this station, designed by artist Margaret Garcia and architect Kate Diamond, focuses on the significance of this event to California’s history. California was named by the Spaniards after the mythological black Amazon queen Califas, who was said to have ruled a tribe of women warriors. Collaboration with Siegel Diamond, Architects. SIEGEL DIAMOND ARCHITECTURE has completed projects including the new Air Traffic Control Tower for LA International Airport, the Metro Blue Line, and the Baldwin Park Metrolink Station. Kate Diamond is a past President of the Los Angeles Chapter of the American Institute for Architecture and served as lead designer on this project. 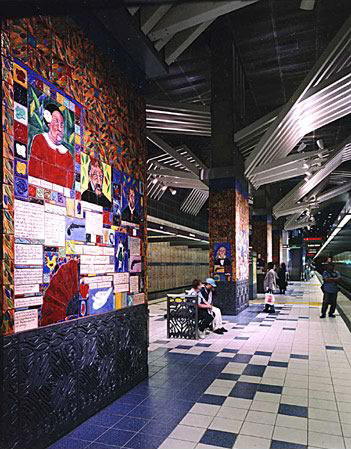 MARGARET GARCIA is a Los Angeles resident who studied fine art at USC. She teaches and lectures throughout the region, and has produced a number of murals in the Los Angeles area. 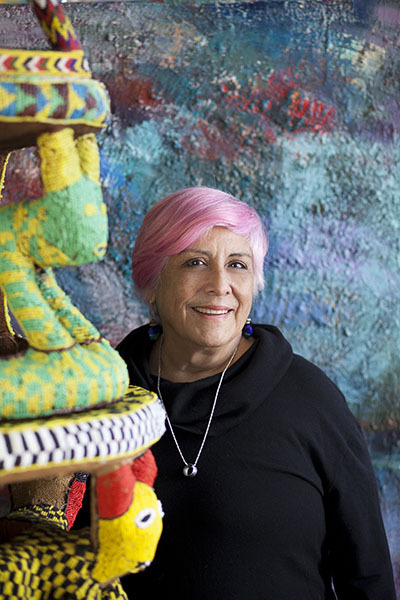 Her work has been included in numerous exhibitions in California, Texas, and Mexico.